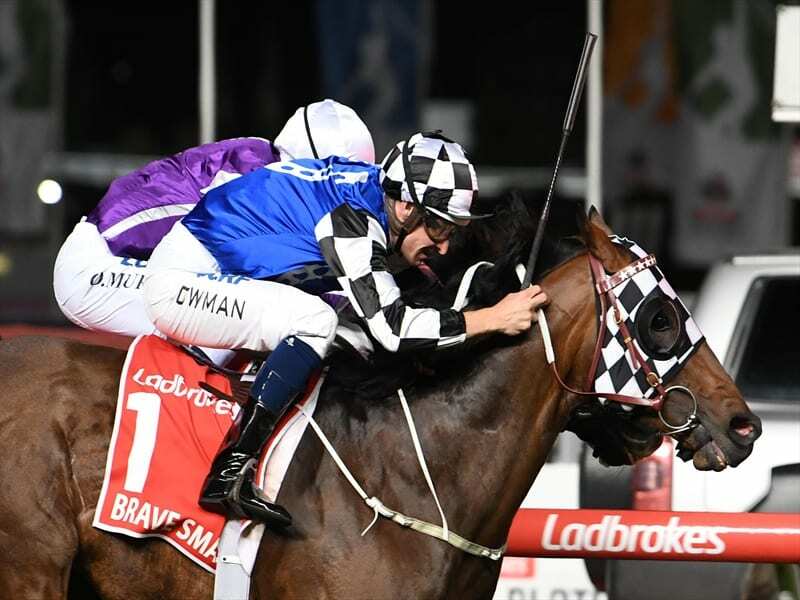 The Darren Weir-trained Brave Smash took out Friday night’s 1200m-sprint in a thrilling finish from Irish raider Spirit Of Valour with Kementari in third place. Weir kept an ace up his sleeve, waiting until Friday night before applying blinkers to Brave Smash’s race gear. “He was set for The Everest but found a wet track which we hoped he’d handle,” Bowman said. “I said don’t put them on the Everest.I didn’t think he needed them. But he was primed for this evening. “The plan was to put the blinkers on in the Everest but Hughie said he probably didn’t need them, but he needed them tonight to get in the right spot,” Weir said. “He got a great ride. He pinged the gates and got into a really nice spot. “We thought we had him right going to Sydney but in the end it was the track. “We haven’t had a great six months or so, but they never whinge,” Weir said. Aidan O’Brien’s travelling foreman TJ Comerford said the team was pleased with the performance of runner-up Spirit Of Valour who presses on to the VRC Sprint at Flemington on November 10. “Aidan is very happy,” Comerford said. “We got in an awkward position and then in the straight we didn’t get a clear crack at them,” he said.